Saving Downsyndrome » An end to Down syndrome in New Zealand? An end to Down syndrome in New Zealand? This blog has been crossed posted from MercatorNet.com and has been reproduced with their kind permission. As someone who now has an 8 week old baby, I have recently started reading a range of parenting magazines. It is amazing how supported you can feel by people on a page who appear to have the same questions as you. I was interested to find an article on Down syndrome screening in New Zealand among the pages of this quarter’s copy of OhBaby! magazine. It was an article that for once seemed sympathetic to the heartbreak of abortion and gave voice to a mother whose Down syndrome child contributes positively to the community and lives a full life. Testing for Down syndrome is now routine in New Zealand – something which you opt out of, rather than opt to have. That means that fewer and fewer children with Down syndrome are being born. Is that what the government hopes to achieve by funding a routine test? Perhaps not, but that is certainly the effect and the implication that is evident to a young mother – it is certainly how I felt when I was asked if I wanted the test earlier in the year. 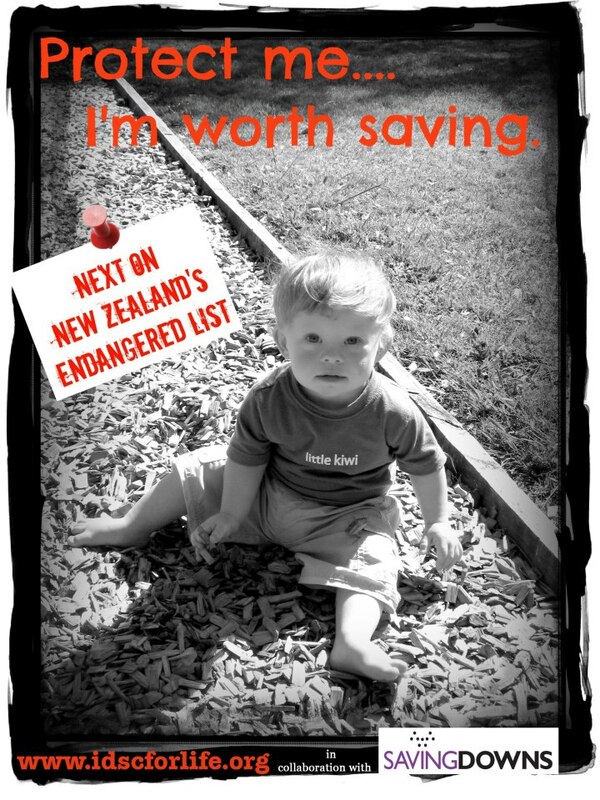 Concern is so great among some in the New Zealand community that they have formed an advocacy group called Saving Downs. Many in the group feel that cleansing the population of Down syndrome is a type of genocide (I have previously spoken myself to a member of this group). The OhBaby! article reports that Mike Sullivan, spokesperson for Saving Downs, has figures from an Official Information Request (the data is obviously not important enough for the Ministry of Health to collect) which show that around 54% of babies conceived with Down syndrome are aborted. The article goes on to raise questions about possible prenatal screening for all sorts of conditions and abnormalities in the future – indeed will anyone get born at all? The other concern is that the government will be willing to fund less and less treatment for children with screenable diseases as people point the finger at the parentswhos wrongfully chose to have their baby with “preventable” diseases in the first place and is now costing them money. Our demographic outlook may be one ‘purified’ of anyone different . It is scary that it is already apparent that there are fewer and fewer members of our community with Down syndrome. I have so many friends with Down Syndrome so this makes me very sad to read and thankful that such testing was not done while they were carried my there mothers,I truly believe someone with Downs Syndrome is no different then I am.